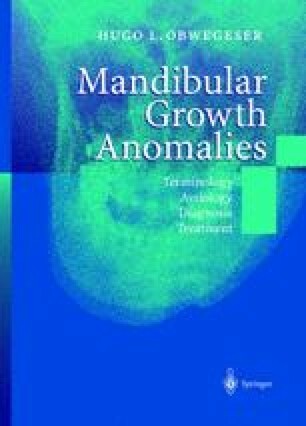 In treatment planning considerations of mandibular growth anomalies, one has to separate those of condylar hyper- and hypoactivity cases. I myself have learned from my great teachers Richard Trauner, Sir Harold Gil-lies and Eduard Schmid, that for every problem in planning and treating we will encounter facts which for teaching purposes are best formulated in clear principles. Only general principles will cover both anomalies and all of their variations.